It's hard to keep track of everything when you are running an art business. From when to pick up your artwork to following up with an important client, the details are what keep your art studio running smoothly. 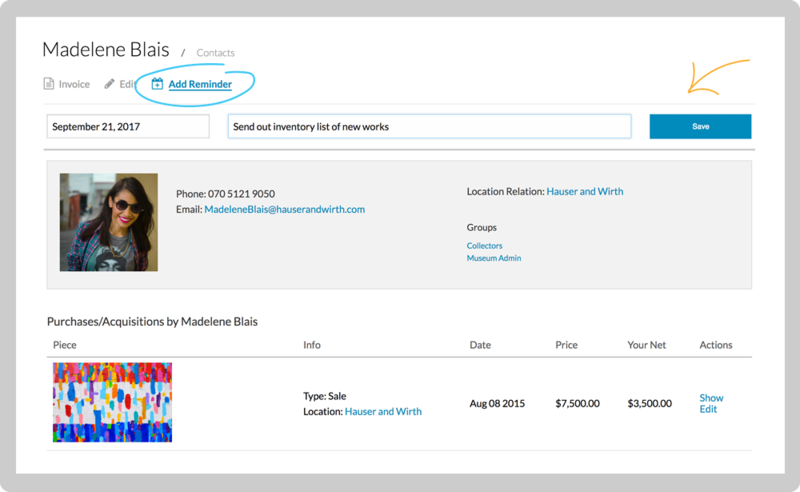 That's why you can create reminders for nearly anything within Artwork Archive. You can create reminders from within Contacts, Locations and custom reminders in your Schedule on the left-hand navigation. Click on the contact associated with the reminder. 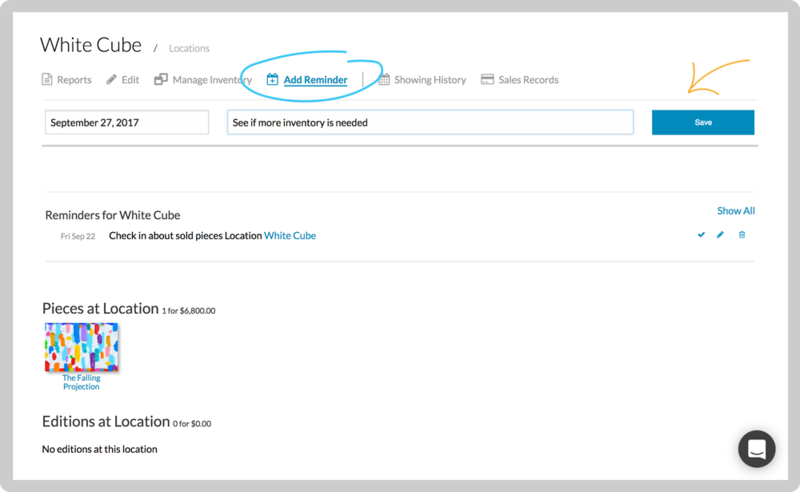 Select "Add Reminder," select the due date, fill out the message and click "Save." Your reminder will show up in the contact record as well as in your Schedule. Click on the Location associated with the reminder. Your reminder will show up in the Location record as well as in your Schedule. 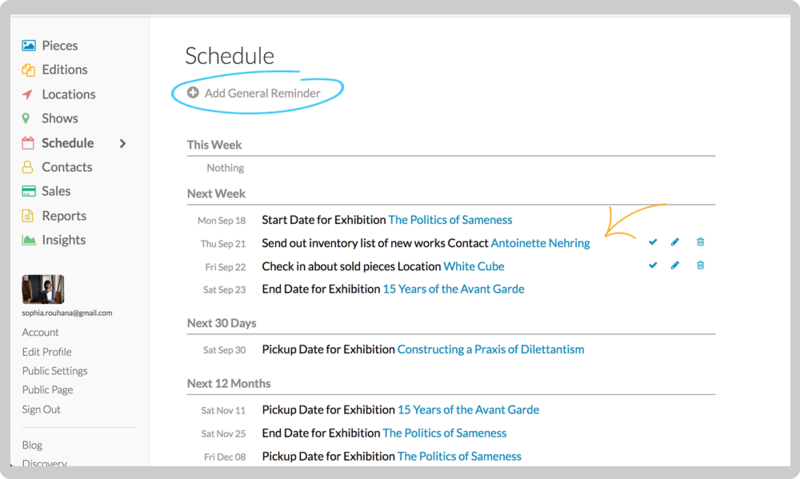 You can add custom reminders for anything you would like—simply go to your Schedule on the left-hand navigation and click "Add General Reminder." Your reminders for the next 12 months will show up here and, if you choose, you can opt-in to receive a weekly update of your upcoming to-do's every Monday.